1823. Second Edition. 188 pages. Brown leather boards with gilt to spine. Front board almost detaches. 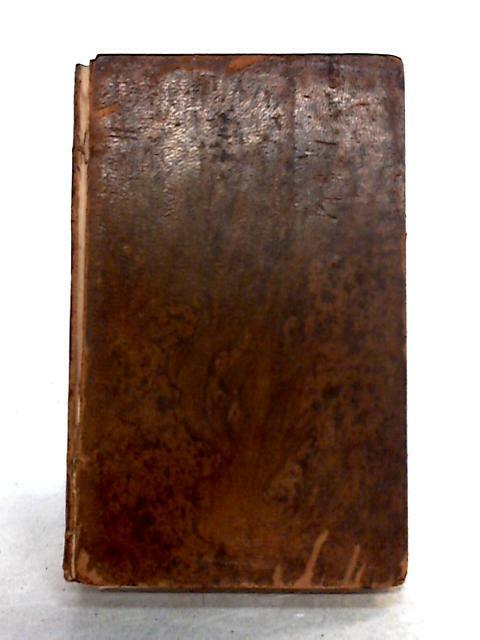 Firm binding to tanned pages with minor foxing throughout. Cracked hinge at fep exposing binding and creating shaky board. Frequent light finger marks and small stains to pages. Creasing to occasional corners. Moderate shelf wear and markings to boards with tanning to spine and board edges. Minor bleach spotting and surface tears. Split to both spine edges, front board almost detached. Missing pieces to spine ends exposing binding. Moderate rub wear and tearing to edges and bumped corners exposing boards.